8ft Winter cover for 250 trampoline. 8ft Winter cover to protect a 250 trampoline. France Trampoline’s round protective cover of 2.44 m in diameter is a very useful accessory to protect the fabric components of your trampoline. 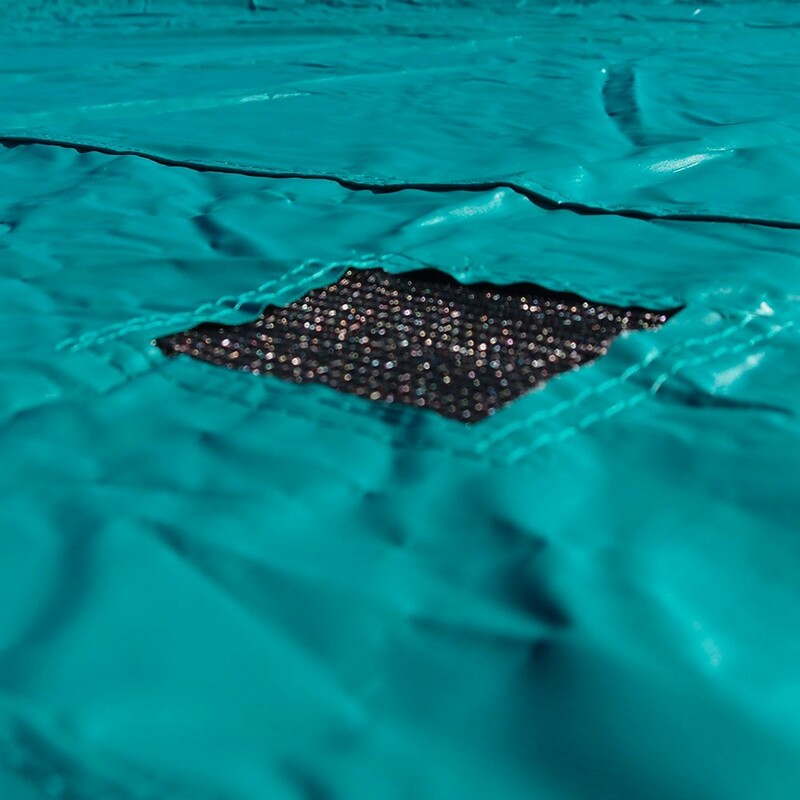 This cover will allow you to leave your trampoline outside all year round without worrying about it getting dirty or damaged. 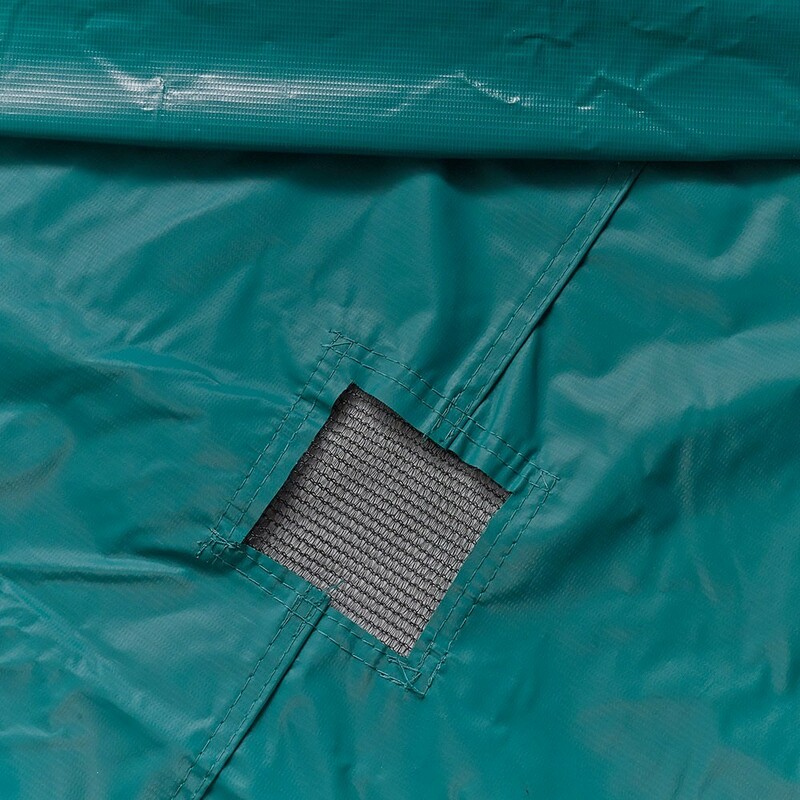 - This green PVC cleanliness cover is adapted to all recreational trampolines with an 8ft/2.44 m diameter. 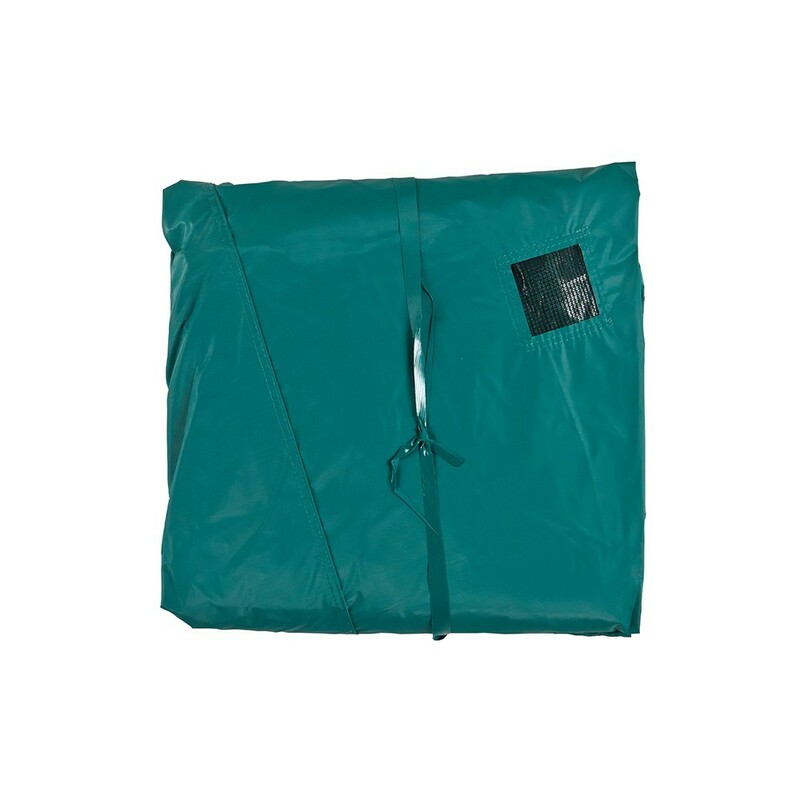 - The 250 cleanliness cover is made from a high-tech fabric with is covered in PVC, with a density of 650 gr/m². This is a similar density to the tarpaulins used on lorries, it is solid and resistant to wear and tear. 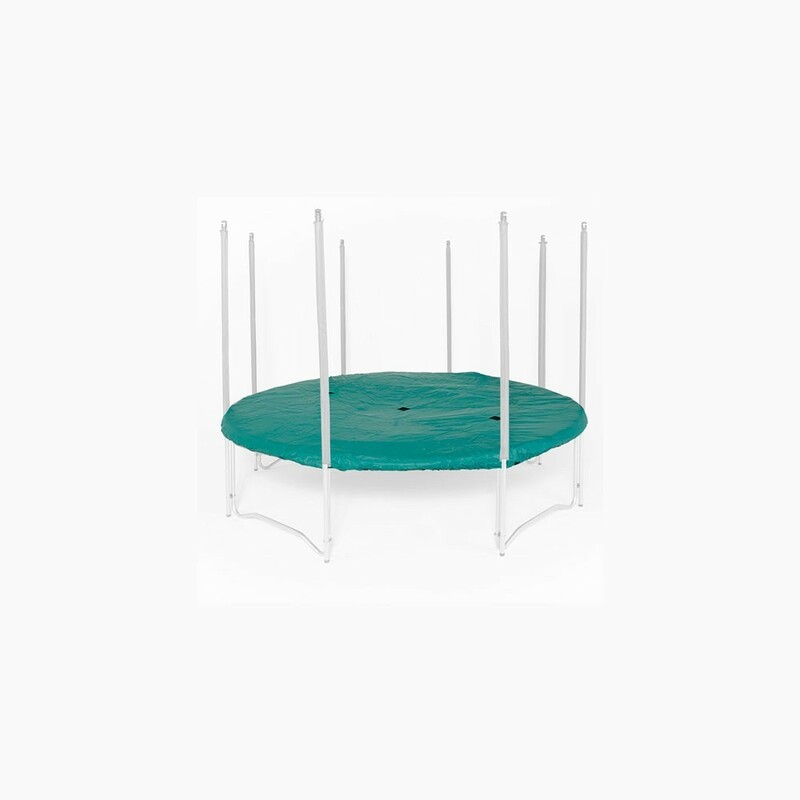 - It is attached to the framework of the round trampoline using straps and hooks. - On top, it has a very useful evacuation system, distributed along three strategic points, to avoid water from puddling. This is an important feature, as if an increased volume of water were to stagnate on the trampoline, the springs could stretch and this would have an incidence on the quality of the bounce. 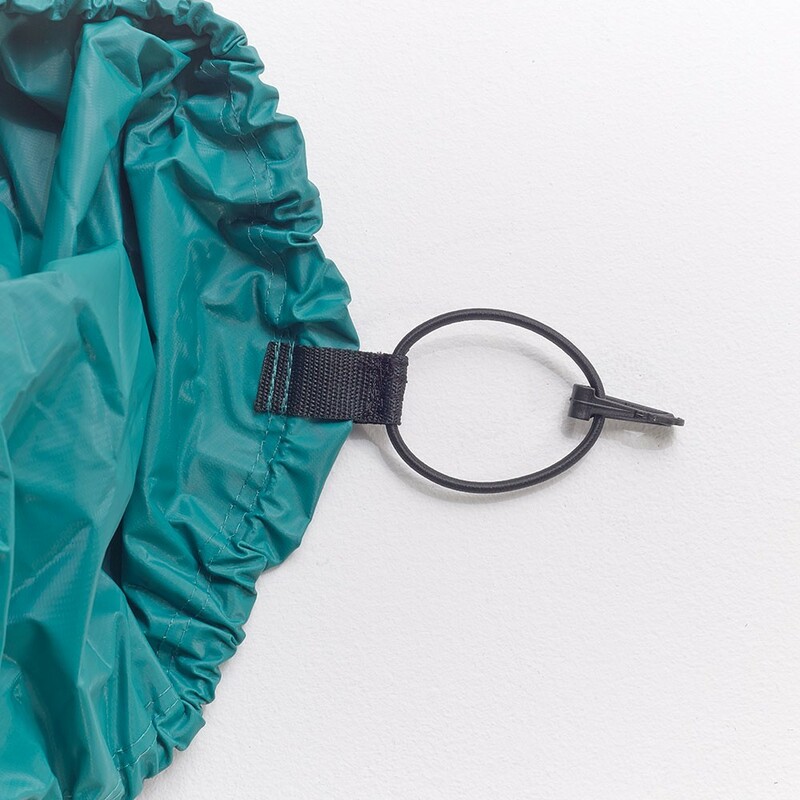 Often portrayed as a winter cover, period during the year where its use is fundamental, this cleanliness cover can also be used throughout the year to protect it from UV light and natural deterioration (due to pollen, leaves, branches, etc…). 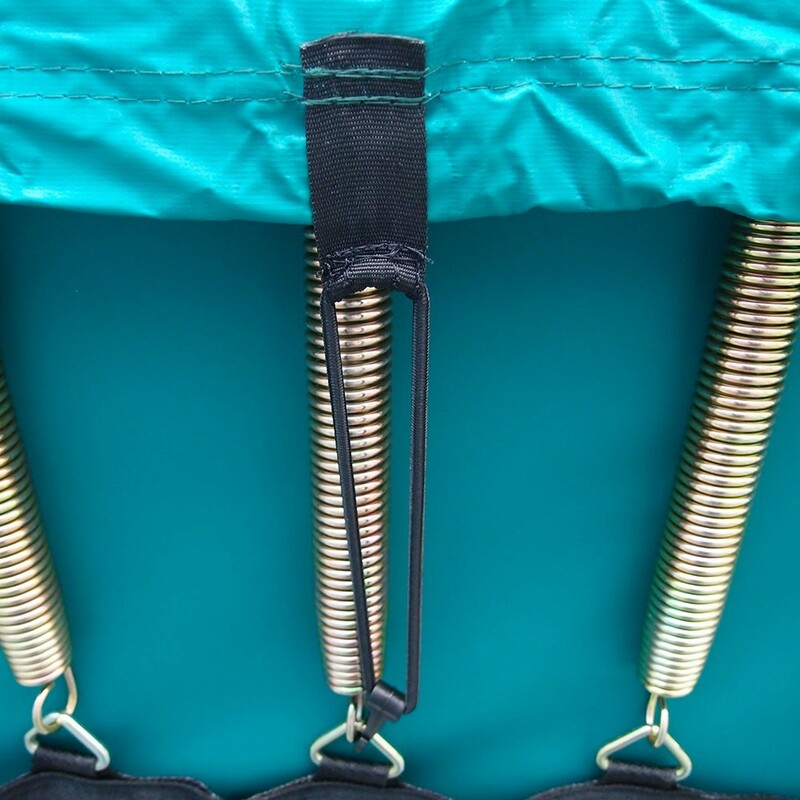 Whether you use it for several days or several weeks, you should not hesitate to install this cover on your trampoline. This simple action can be an extra guarantee against premature ageing of the PVC of your frame pads. Produit parfaitement adapté à votre trampoline. Semble de très bonne qualité mais pas encore testée.